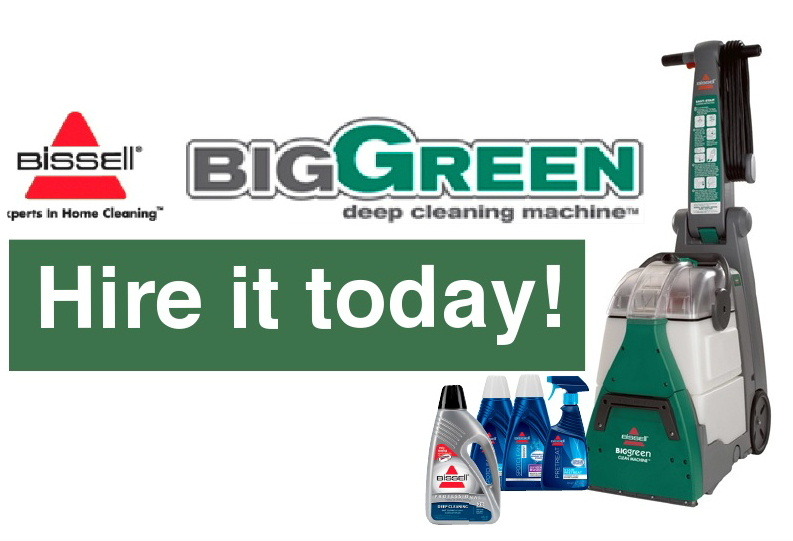 Give your carpet a deep clean with our Bissell Big Green Deep Cleaning Machine! The Bissell Big Green® Cleaning Machine is available for rental from Dalbeattie Appliance Centre. This carpet and upholstery cleaner from Bissell features an 8 Row Rotating Dirtlifter® Powerbrush which cleans in both forward and backward motion; two removable, large capacity water tanks that allow for easy filling and emptying; and a stain tool and accessory hose for those hard-to-reach areas. Bissell's Big Green® Cleaning Machine cleans better* and dries faster than the leading rental carpet cleaner. The new Big Green® Deep Cleaning Machine is Bissell's first professional carpet cleaning machine designed to withstand the rigours of everyday use and to give professional results. * Cleaning results compared to the leading rental machine based upon measurements of colour reflectance and brightness of carpet fibres. Drop in and see us or call us to book the Bissell Big Green® Deep Cleaning machine today on 01556 288613. 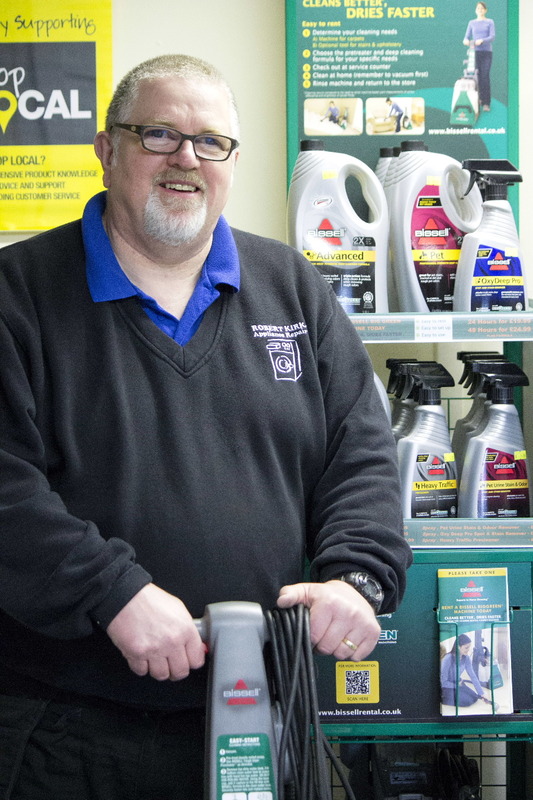 FIND US: Located adjacent to the car park in Alpine Street, Dalbeattie, we’re open Monday, Wednesday, Thursday and Friday from 9am to 11am and 3pm-5pm and on Saturdays from 10am to 1pm.